Your first visit to our office will be a complimentary comprehensive examination for you or your child. To request your free exam, call 905-849-8500 or use the contact form on the left side of this page. 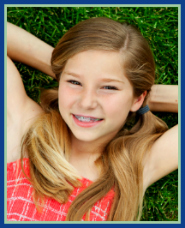 Dr. Baker Akad will conduct a thorough clinical orthodontic examination and explain all aspects of treatment himself. He will carefully examine the teeth for a wide range of possible orthodontic problems, such as crowding, bite issues, gaps, etc. He will then sit down with you to discuss if orthodontic treatment is indicated, what type of treatment is necessary, how long it will approximately take and estimate how much it will cost. You will understand everything you need to know in order to decide whether to proceed with treatment or not. What sort of problems are present, if any? If treatment is indicated after the initial exam and you decide to proceed, orthodontic diagnostic records are required. Complete diagnostic records typically include impressions (molds to make study models of the teeth), photos (of the patient’s face and teeth) and X-rays. These records are evaluated carefully by Dr Akad to determine the course of treatment for each patient. Diagnostic records are also helpful in tracking the progress of treatment as the teeth move under orthodontic care. After evaluating the treatment records, Dr. Akad will thoroughly review with you the specifics and details of your customized treatment plan and go over all the options available and answer questions. The cost of treatment depends upon the severity of the patient problem. The treatment coordinator will discuss fees and payment options if treatment is required. We have different payment plans and zero interest financing to suit your budget. We work hard to make orthodontics affordable. It is our goal to see you on time for your appointment. Time is scheduled to complete the necessary procedure, give information about the treatment and answer any questions you may have. In order for us to maintain a schedule that runs in a timely manner, we request that patients arrive on time to avoid delays, as the day progresses. Your cooperation and consideration with appointments is greatly appreciated by our office and the patients that are seen after your appointment.